Dr. Jaime Lavallee (SJD) joined the University of Saskatchewan College of Law in July 2018. 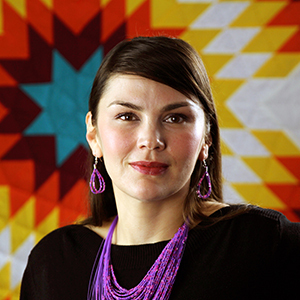 She focuses on Nation-building according to the Harvard Project on American Indian Economic Development (HPAIED) model. Previously, she was the Director of Indigenous Governance, Law & Policy with the File Hills Qu’Appelle Tribal Council. Dr. Lavallee has held positions with First Peoples Worldwide working on international Indigenous rights in southern Africa; National Association of Tribal Historic Preservation Officers on Indigenous cultural rights; National NAGPRA Program, specializing in the U.S. law - Native American Graves Protection and Repatriation Act (NAGPRA); National Preservation Institute; and Johnson Shoyama Graduate School of Public Policy, University of Regina Campus. Dr. Lavallee has also been an active volunteer and community member, and has served on the Regina Exhibition Association Ltd. (REAL), Civic Museum of Regina, Muskeg Lake Cree Nation Investment Management Corporation, Indspire Rivers to Success mentor, Muskeg Lake Cree Nation Elections Act Committee, Association on American Indian Affairs Working Group on International Repatriation, Program of Legal Studies for Native Peoples Alumni Group, Ranch Ehrlo Society, and Saskatchewan First Nation 2017 Summer Games Host Society. Dr. Jaime M.N. Lavallee is a citizen of the Muskeg Lake Cree Nation in Treaty 6 Territory, Saskatchewan, Canada. She holds a JD from the University of Toronto Faculty of Law, and an LLM and SJD from the University of Arizona James E. Rogers College of Law in Indigenous Peoples Law and Policy.